Buying local seems to be the mantra on all consumers’ lips. With efforts to source products from local companies on the increase, the idea of buying local has spread to the world of plantation blinds and shutters. Chiswick W4, is one of the major centres of London and with a built environment which is a mixture of Georgian, Victorian and Edwardian houses, many residents wish to have a window treatment at their windows which suit the period of the house. Plantation blinds or shutters suit the W4 area because of these tie-ins with Georgian, Victorian and Edwardian architecture. Many of these period buildings in Chiswick would have originally been fitted with plantation blinds to begin with. This customer chose to have separate full height plantation shutter blinds in each section of their four sash windows in their Georgian lounge. A bay window separated like this with a large amount of space between each sash is often the case in Georgian houses in this London area. 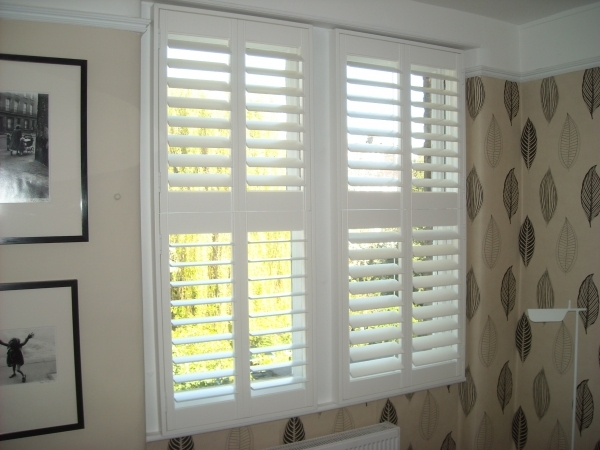 Shutters are a fantastic solution. Curtains take up so much room, and really the sashes need some covering. The majority of these sashes are the originals and fitting plantation blinds into the recess area of the window is a neat solution. Heavy curtains tend to hang right down and cover the only heat source in these styles of rooms, the radiator, which is positioned directly below the window itself.